Graphic design templates lead to efficiency, accuracy and strong branding. How design templates lead to efficiency, greater accuracy and strong branding. 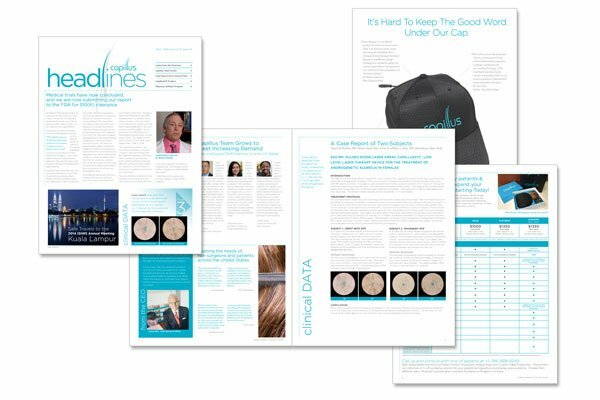 [/vc_column_text][vc_empty_space height=”20px”][/vc_column_inner][vc_column_inner width=”2/3″][vc_column_text]When Capillus, a Miami-based medical product company called on Vortex Communications to develop a B2B newsletter template using Adobe InDesign, they understood the project was an investment in branding as well as production efficiency.